Here is a fun and simple little mani I did awhile back using Nicole by OPI Kendall on the Katwalk, one of my favorite blue glitters. I wanted to do something that would highlight the purple and green glitters that are found in the base color. I used OPI Grape... Set... Match! 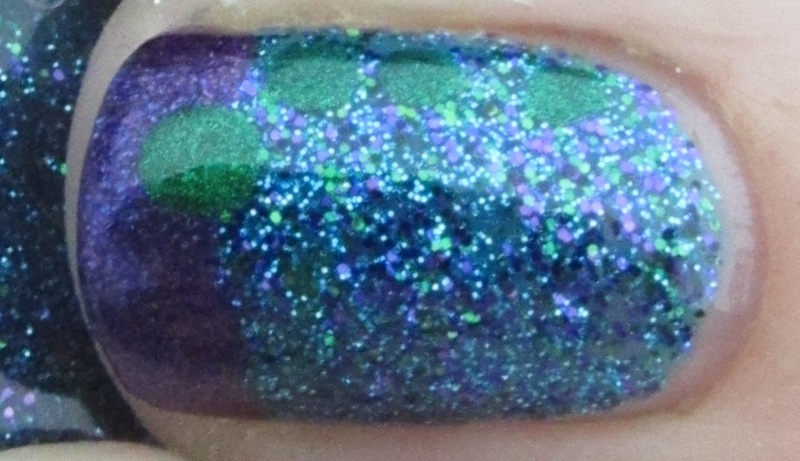 to add sparkly purple tips to each nail, then I added the green dots using a dotting tool and Zoya Holly. While this manicure was fairly simple, I really like how all of the colors worked together. I absolutely love this glitter and really like the purple and green mixed in with the blue, and this was a great way to showcase all of those colors! 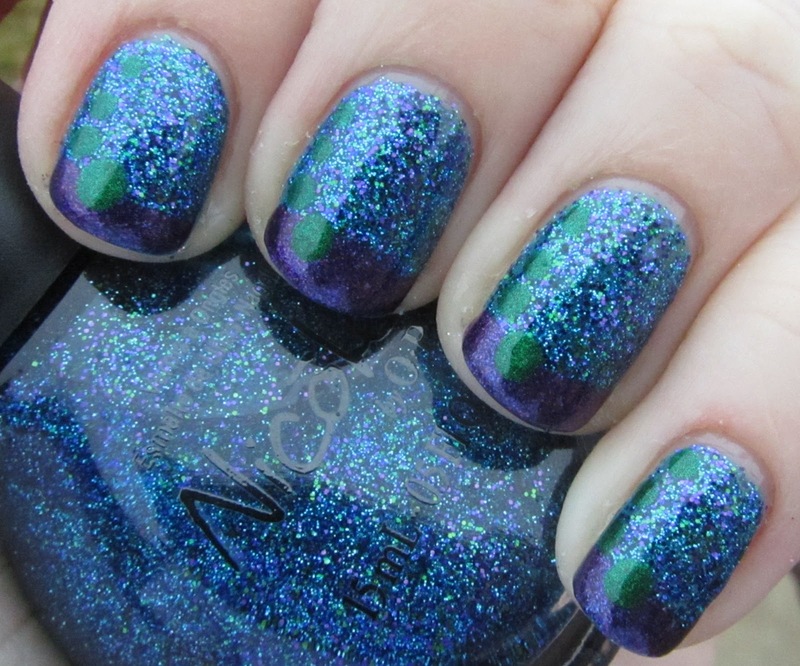 Those colors are gorgeous together, love that you have pulled them from the glitter! I have been meaning to pick up KOTK but still haven't, I am going to have to go look for it now. Very pretty! I love Kendall on the Katwalk, such a great glitter! Pretty mani! The blue glitter polish you used looks really great!